What are fees for engineering students? Who pays the fees and at what amounts? All undergraduate students enrolled and majoring in engineering or computer science programs must pay the engineering student fees. The fees were proposed by the dean of the College of Engineering and endorsed by the provost and the president. The fees were formally approved by the Auburn University Board of Trustees on April 8, 2016. Effective fall 2017 for academic year 2017-18 and thereafter, the fee will be $400 per semester for freshmen and $700 per semester for sophomores, juniors and seniors. Effective fall 2018 for academic year 2018-19 and thereafter, each fee level will be adjusted in proportion to any percentage increase that may be necessary in undergraduate tuition, such that a 1 percent increase in tuition would correspond to a 1 percent increase in engineering student fees. For academic year 2018-2019 (Fall 2018, Spring 2019, and Summer 2019), the expected fee will be $412 per semester for freshmen and $721 per semester for sophomores, juniors, and seniors. The fee cannot be prorated, adjusted, or waived. The fee amount is not based on the number or type of courses, the number of credit hours, or full- or part-time status. The fee is charged during summer terms for students enrolled and taking courses. Students who change to a major outside of the College of Engineering must do so by the 15th day of class of a semester to be considered for a fee refund for that semester. The fee is not assessed during co-operative education work terms, unless the student is also enrolled in courses. Why are fees being charged? Fees are being charged because additional funding is necessary to provide a student-centered engineering education at the level of excellence consistent with our high standards. Engineering education is costly, particularly because it is most effective with smaller class sizes and with equipment and laboratories that are at the forefront of technology. Furthermore, the professional development and preparation that happens outside of the course schedule is more and more important in preparing engineers for the workforce or study for advanced degrees. 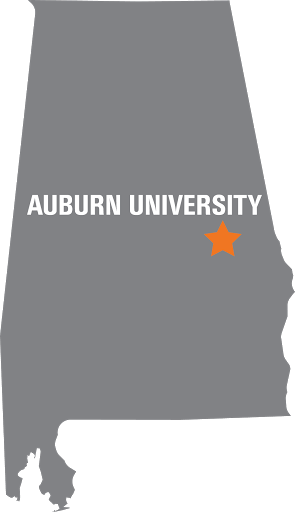 Many other programs at Auburn University charge student fees, including the Harbert College of Business and the College of Architecture, Design and Construction. A large number of excellent engineering programs at peer institutions charge fees or differential tuition for engineering students. These include the University of Tennessee, Texas A&M, the University of Missouri, the University of Wisconsin and the University of Alabama, among many others. How will engineering fees be spent? Note: the percentages provided represent the proportion of FY17 Engineering Fees to be expended in each of the listed categories. An engineering fee oversight committee will advise the dean on effective use of the fees. The committee will include representation from faculty, staff, students and alumni. Will additional financial aid be available to assist with the cost of the engineering fee? Yes. Additional resources will be available through the student financial aid office to assist accessibility. How do I obtain additional information regarding the engineering fee? All information regarding the engineering fee will be posted to this page as it becomes available. For further information, contact fees@eng.auburn.edu. The amount that students pay in tuition and required fees represents a sizable and important investment in their future. However, student payments alone do not cover the full cost of providing any of Auburn’s educational programs. Even after state appropriations are included, some programs require supplemental tuition or student fees in order to provide the high-quality learning environment that students expect. 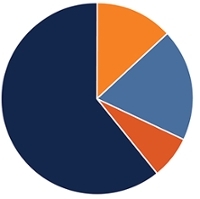 Like the basic tuition and fees, these additional amounts help to cover not only the direct costs of providing instruction and advising in these programs but also indirect costs associated with Auburn’s role as a comprehensive center of higher education for the state.